People who routinely eat grilled or roasted meat, chicken and fish may be more likely to develop high blood pressure, a study warns. Researchers at the Harvard T H Chan School of Public Health in the US analysed cooking methods and the development of high blood pressure in people who regularly ate beef, poultry or fish. The study involved 32,925 women taking part in the Nurses' Health Study, 53,852 women participating in the Nurses' Health Study II and 17,104 men in the Health Professionals Follow-Up Study. Detailed cooking information was collected in each of these long-term studies. None of the participants had high blood pressure, diabetes, heart disease, or cancer when they enrolled. However, 37,123 people developed high blood pressure during an average follow-up of 12-16 years, according to the research presented at the American Heart Association's session. 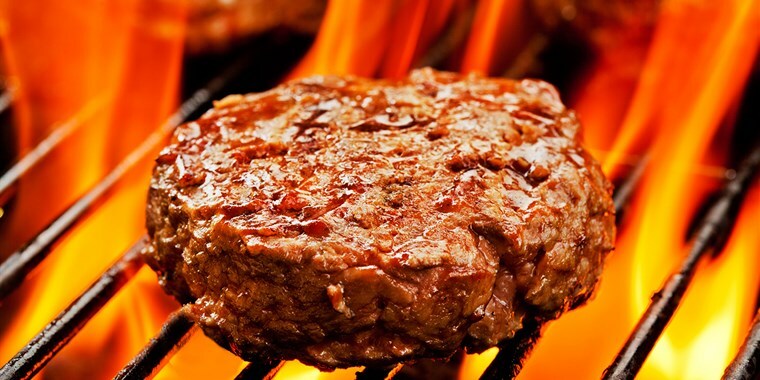 "The chemicals produced by cooking meats at high temperatures induce oxidative stress, inflammation and insulin resistance in animal studies, and these pathways may also lead to an elevated risk of developing high blood pressure," said Gang Liu from the Harvard T H Chan School. The risk of developing high blood pressure was 17 per cent higher in those who grilled, broiled, or roasted beef, chicken or fish over 15 times per month, compared with less than four times a month. The risk was 15 per cent higher in those who prefer their food well done, compared with those who prefer rarer meats, researchers said. The risk of high blood pressure was 17 per cent higher in those estimated to have consumed the highest levels of heterocyclic aromatic amines (HAAs) - chemicals formed when meat protein is charred or exposed to high temperatures - compared to those with the lowest intake. Oxidative stress, inflammation and insulin resistance affect the inner linings of blood vessels and are associated with the development of atherosclerosis.